Lauren Nygard Photography originally from Texas but now based out of Oceanside, CA actually went to architecture school before finding her passion for photography. She explains that, "even though I had always had an interest in photography, I began taking it seriously when I found myself with too much time on my hands as an architectural intern in Washington, DC. Now working out of beautiful San Diego County, California, I regularly shoot weddings and portraits". Lauren is also another photographer to join the vendor page!! This USNS Mercy's homecoming was at Naval Base San Diego. Kathleen patiently waited with her adorable kids for Matt to arrive. Super cute outfits on their children! 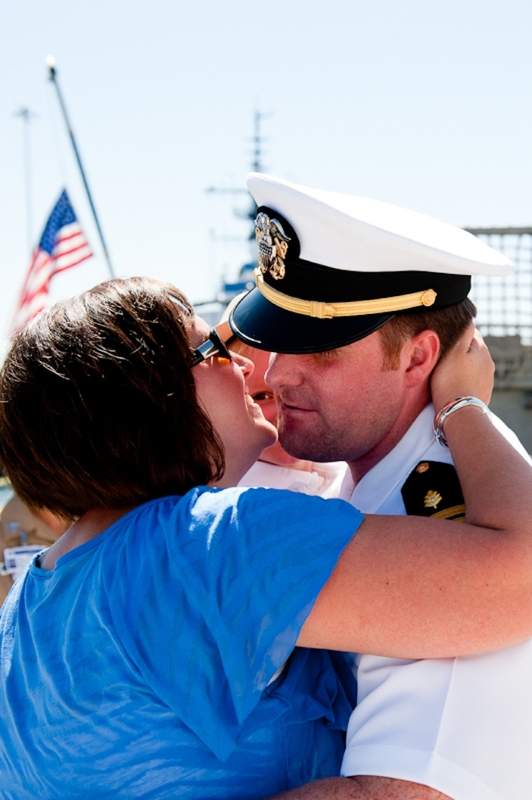 Matt was deployed for 6 months on the USNS Mercy to Indonesia, the Philippines, Vietnam and Cambodia. Thank you Lauren for sharing these photos and much more to come.